A Kickstarter project for an iPhone incident light meter adapter has been successfully funded, raising over ten times its $10,000 goal. A Kickstarter project for an iPhone incident light meter adapter has been successfully funded, raising over ten times its $10,000 goal. The Luxi photographic accessory, made by Extrasensory Devices of California, is a small diffusion dome that fits over the Apple iPhone’s front- or rear-facing cameras and gives an incident light reading with “comparable results” to “professional handheld light meters”. 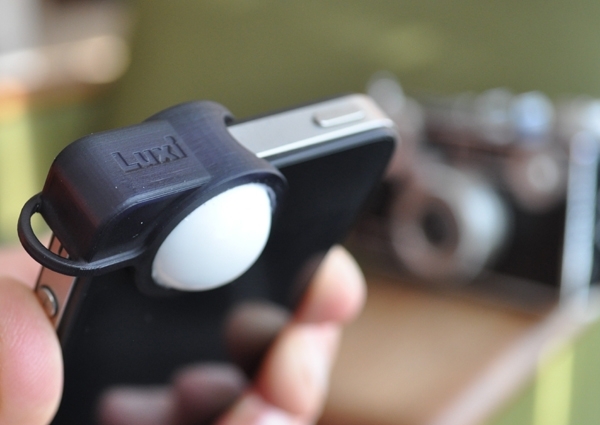 However, the “enormously encouraging” success of the Luxi Kickstarter project has not committed the company to focussing more on photography-related products in future. Instead, Flynn says he will be spurred on to promote some audio accessories for the iPhone. The Luxi’s recommended retail price is $24.95, with the first batches shipping out to project backers, whose credit cards were charged today. For more information, visit the Luxi Kickstarter page or esdevices.com.